Beausoleil gets a lot of recognition for their curried chicken salad sandwich on their brunch and lunch menu, but their other versions of salad also highlight bold flavors that come together in a way that has this big guy craving something a little greener. I'm a huge fan of their seafood salad, but I ventured out of my norm for this post and gave their grilled shrimp pasta salad a try. 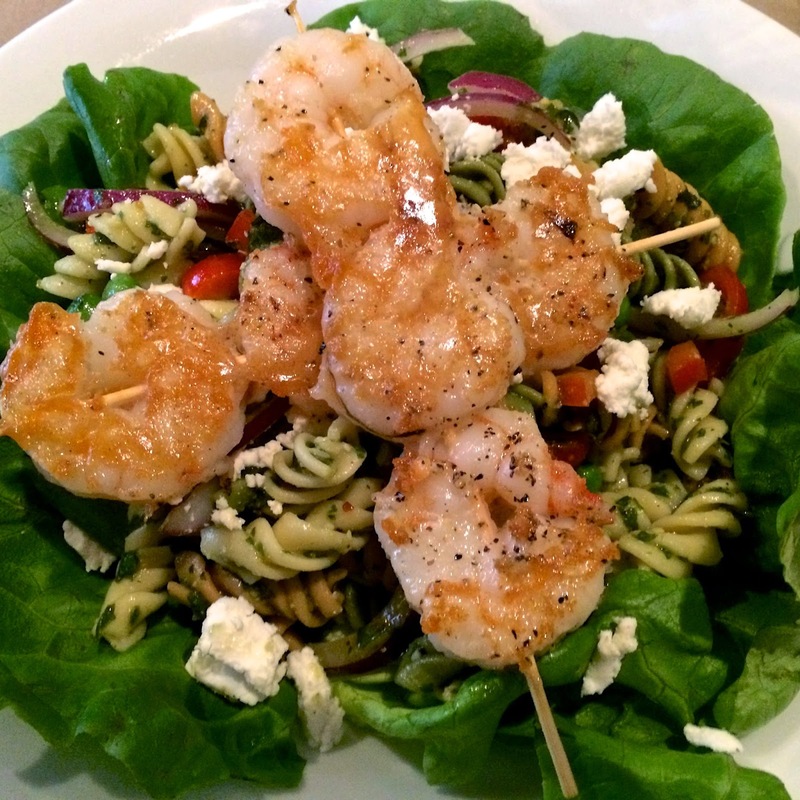 The skewered grilled shrimp were lightly seasoned, superbly succulent, and slightly warmed atop a cool pasta salad. A rainbow of Rotini pasta dressed with a pistou sauce which is essentially a Provençal pesto with cloves of garlic, fresh basil, and olive oil was satisfying without weighing me down. For an added fresh bite, some red onion, peas, and tomatoes round out the textures and flavors. Chef Nathan takes things to an entirely different level with goat cheese. It marries all of the flavors together and makes this a truly restaurant quality pasta salad.